Mary has been living in the PoC for about two years, after fleeing her home in Koch County following the conflict that broke out in South Sudan in late 2013. She is one of four wives, and a mother of three children. She only managed to escape with one child and the other two children were left behind under the care of her one of her husband’s other wives. 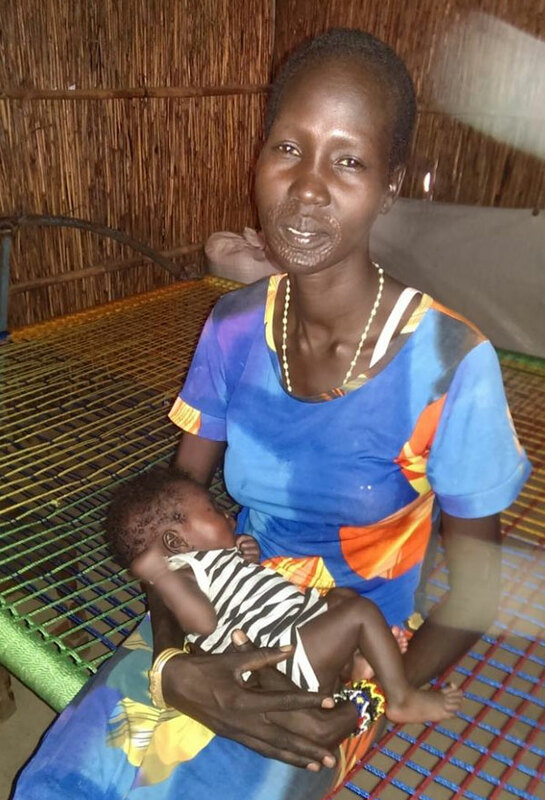 The journey from Koch to Bentiu PoC took her 3 full days. Mary fell sick in December 2015, developing symptoms of cough, chest pain, back pain and headache. At the time, she was eight months pregnant with her third child. She says that she visited several clinics for treatment, but with no improvement. One day, she was visited in her home by an IOM Health Promoter by the name of Mary, who referred her to the IOM clinic. Here, she was examined by a clinician who suspected she had TB. IOM collected and tested sputum samples, which confirmed she had TB. She was immediately started on anti-TB medication, and, shortly after starting treatment, Mary went into labour and gave birth to a healthy baby girl. The IOM staff went the extra mile to support her with her treatment after delivery, conducting daily home visits to deliver her daily medication and check on her condition and progress. In addition, she has received nutritional support in terms of a month’s supply of dried foods: sorghum, lentils, cooking oil and corn-soya blend. After the initial four weeks of treatment, Mary was already reporting dramatic improvements in her health. The cough was gone, she started gaining weight and her voice had started to recover. She is looking forward to completing her treatment so that she can better care for her children.